The small letters in the margins are cross references. The Great Bible had no Marginal Notes, just references to other related Scripture. 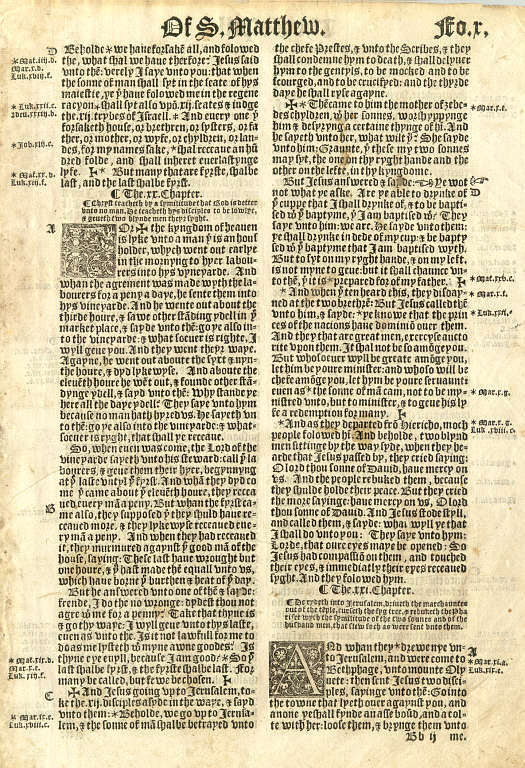 Use the Menu on the left to view a closeup of another page from the Great Bible.